For those of you who haven't heard of Pinterest yet, prepare to have your mind blown. If you're familiar with it, you already know how awesome it is. From their site: "What is Pinterest? Pinterest is a social catalog service. Think of it as a virtual pinboard — a place where you can post collections of things you love, and "follow" collections created by people with great taste." 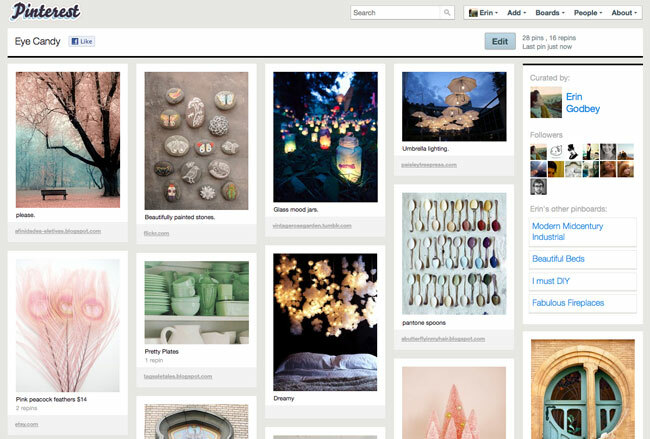 Basically, Pinterest is the coolest thing ever... you can "pin" any image, from any website. The best thing about it is once you pin something, it saves the original link. So say I want to pin a recipe... I just click my "pin it" button on my toolbar, select the image I want, what board I want it to save to, and I'm done. 6 months later when I finally get around to making that recipe, I just view my recipe board, find the image, click it, and it takes me back to where the recipe was originally posted. The other best thing about it is that you can follow other people boards, and see what awesome stuff they found. If you really like it, you can re-pin their image to one of your boards. I've found it's best to keep my board categories pretty specific. You can create any type of board you want, as many as you want. I've got 21 boards and counting, with topics ranging from DIY projects to pretty fireplaces. Here's a few of my boards, showing a preview of the pins I have placed on them. And here's a specific pin... if I click this image it will take me back to where it was originally posted, a blog post containing DIY instructions for making that adorable garland. 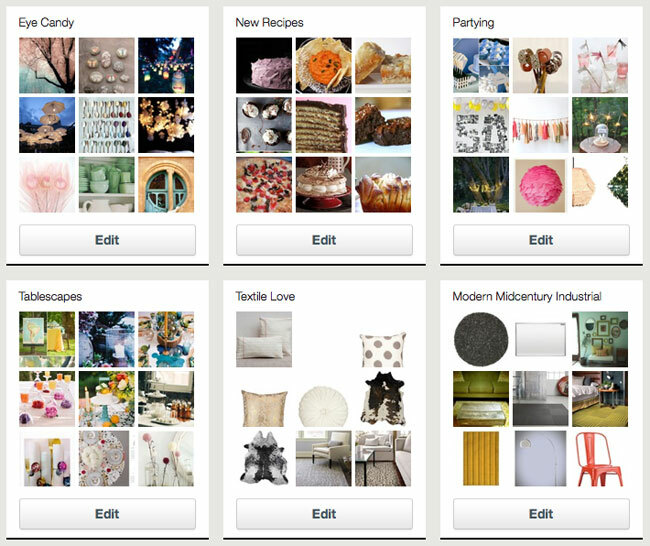 Of course, it's not just good for saving pretty images, Pinterest makes a perfect shopping list. Save all the books you want to read this year, or a whole bunch of pillow options for your new couch. When you're ready to buy, you can go right to the store you saved it from. Ready to get started? You can request an invite to join Pinterest (it's a free service!)... since it's fairly new there is a short waiting period, it took me about a week before my invite was accepted. Or, if you'll leave a comment on this post with your email address, I'll send you an invite and you can start right away. Warning: Once you start pinning, you can't stop. I am so addicted to Pinterest, I'd rather surf their site than sleep. Remember on The Office when Michael said he didn't work for 5 days when he discovered YouTube? That's what I feel like. Invite me!! Please!! I'm getting lost in my bookmarks! Hey, thanks for this post Erin! I've had an invitation for a couple months and just never got around to playing with it, but this sounds amazing! I'm with Gwen — too. many. bookmarks. I would love an invite please! Thank you so much!!! I've sent everybody their invites, so let me know if for some reason it didn't come through. Happy Pinning! This sounds amazing! May I please have an invite at kimstewart88@gmail.com? Hi Erin! Pinterest seems to be great. Unfortunately I've been on the waiting liste for quite a long time. Could you please, please invite me? Thanks a lot! Hi bprinz! I sent your invite, so have fun getting started! I'm emailing you my email address (since it includes my whole entire name). Does that work for you? In case anyone is wondering, I'll still send out invites if you'd like one! I usually get the invite sent within a day after you comment, so let me know if for some reason it doesn't come through. cant wait to pin!!!! thanks!!! 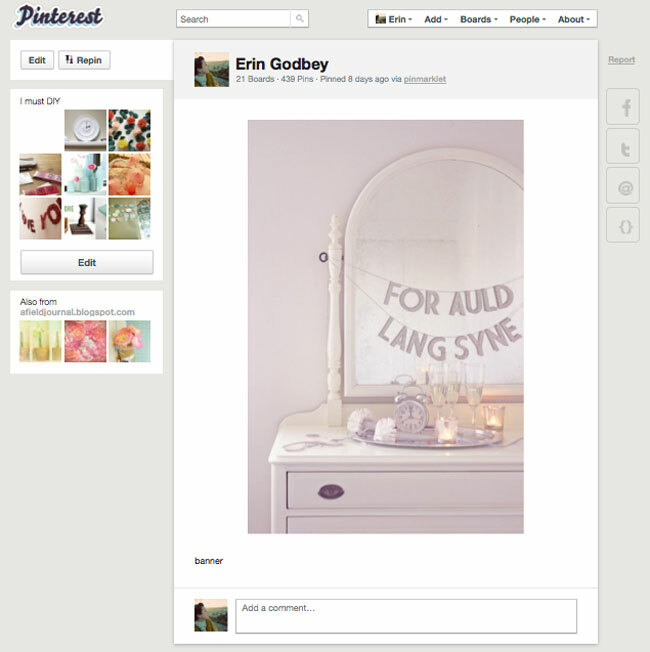 Loved reading all about pinterest, would greatly appreciate an invite! Could you invite me to Pinterest please? Thanks for the information! Can you invite me to Pinterest?? gypsygirl3033@yahoo.ca Thanks!